There are some skeptics that suggest that global warming or climate change isn't a real thing, however each year new evidence suggests that it is. 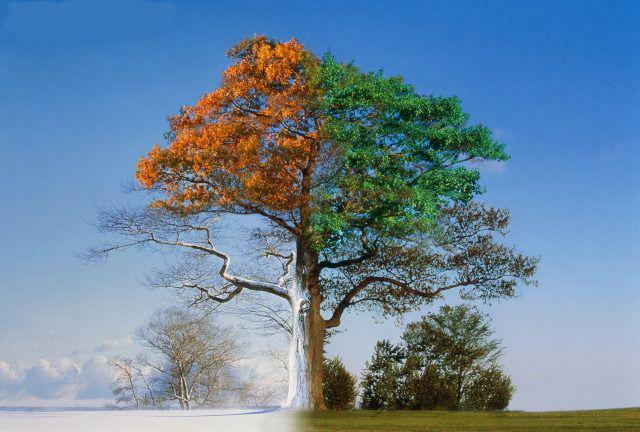 Yet another study has come out that suggests that the seasons are changing. This research finds that over the past few years, Spring has been charging in earlier and Autumn has been coming around later, and this is not likely to change. In fact, it has been deemed the new normal. A study by the University of Southampton examined satellite imagery that was captured from 1982 through 2006. The researchers looked for any seasonal changes in the vegetation. They examined these images in detail, noting the growth cycle in the greenery daily and identifying leaf coverage, color and growth. The study also gave priority in examining forests that were untouched by human intervention, as they found that they gave the most reliable information on the vegetation response in terms of climate. The project leader Pater Atkinson, Professor of Geography at the University of Southampton stated, "There is much speculation about whether our seasons are changing and if so, whether this is linked to climate change. Our study is another significant piece in the puzzle, which may ultimately answer this question." The researchers found the biggest change in the broad leaved and needle leaved deciduous forest groups that they studied. It found that Autumn has been arriving significantly later in recent years. The evidence that suggest Autumn is coming later is much more pronounced than the evidence that shows the early onset of Spring, but the change is still there. Professor Peter Atkinson closed his presentation of his study by saying, "Previous studies have reported trends in the start of Spring and end of Autumn, but we have studied a longer time period and controlled for forest loss and vegetation type, making our study more rigorous and with a greater degree of accuracy. "Our research shows that even when we control for land cover changes across the globe a changing climate is significantly altering the vegetation growth cycles for certain types of vegetation. Such changes may have consequences for the sustainability of the plants themselves, as well as species which depend on them, and ultimately the climate through changes to the carbon cycle."